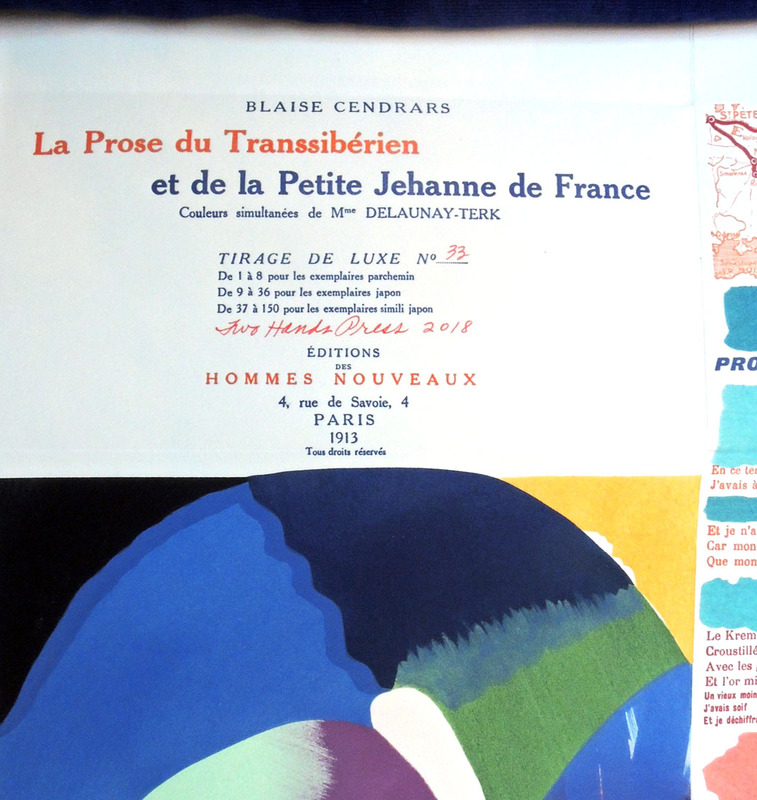 In 2008, the Beinecke Rare Book and Manuscript Library published a facsimile of La Prose du Transsibérien (Prose on the Trans-Siberian Railway) by Blaise Cendrars and Sonia Delaunay. The full-size color reproduction was even folded like the original. The only problem was it couldn’t represent the pochoir (stencil) printing of the original. Now, Kitty Maryatt, Director Emerita of the Scripps College Press, has re-created La Prose in the same size, same color, same folding, but this time with the original letterpress text and hand-painted pochoir color. 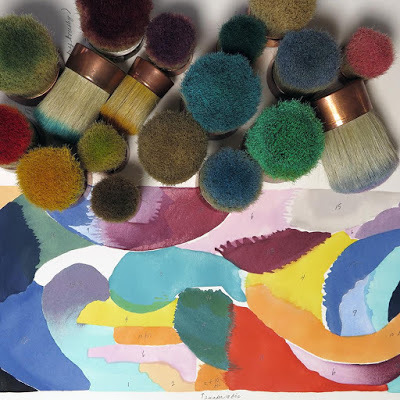 Maryatt and her assistant Chris Yuengling-Niles finished the first copies in France, where they spent almost two months working daily with Christine Menguy at Atelier Coloris to fine-tuned their skills in the pochoir process. The edition of 150 copies is published by Two Hands Press and the Graphic Arts Collection recently acquired a copy. All the specifications can be found at http://laprosepochoir.blogspot.com but here are some details. 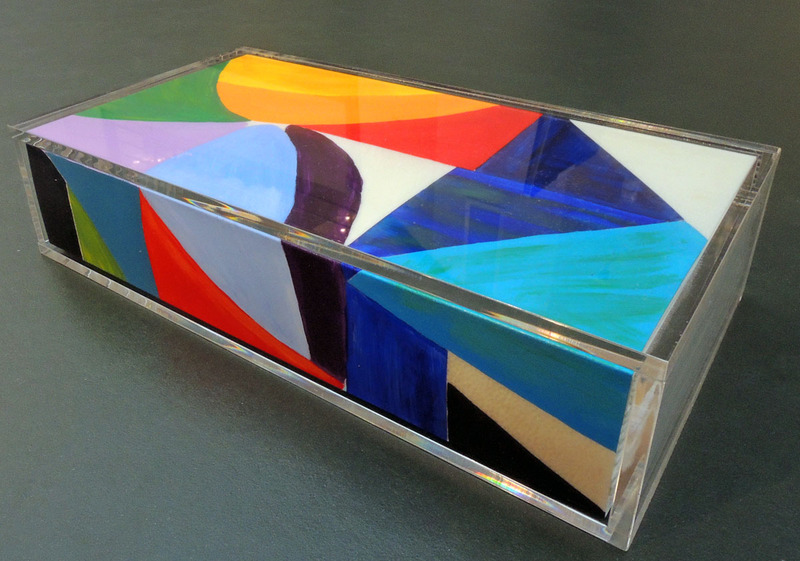 The gouache color for Delaunay’s imagery is hand-applied using thin metal stencils. There are about 25 aluminum stencils for each of the four sheets, totaling 100 in all. The 50 or so colors have been selected with great care to match the originals. 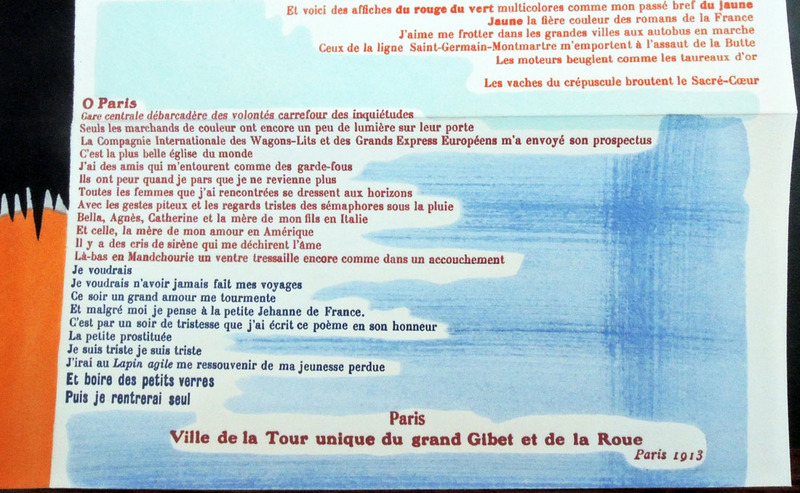 La Prose was first produced in Paris in 1913 and published by Cendrars’s own self-financed publishing house, Éditions des Hommes Nouveaux (New Man Publishing). 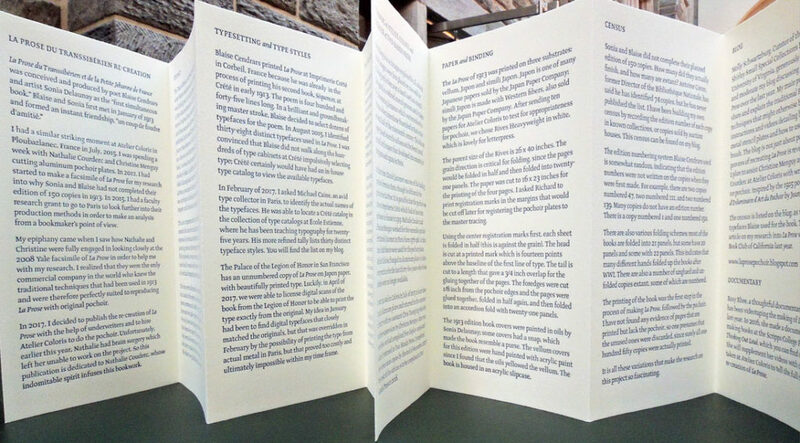 The text and artwork were printed onto the same sheet, which was folded accordion-style to form the twenty-two panels. Unfolded the book is approximately 199 x 36 cm. Cendrars’s story describes a railway trip taken by a poet and a young girl named after Joan of Arc, from Moscow to Paris, via China and the North Pole. This entry was posted in Acquisitions, Artists' books, prints and drawings on December 27, 2017 by Julie Mellby.